In today’s competitive business world, the need for reliable, affordable, and clear communication is just as important as always. Cloud based phone systems are designed to help small businesses communicate like a big company, all while reducing costs! QCC offers the best Maryland cloud based phone systems that are the perfect choice for your Maryland business telephone system needs. A phone system is essentially the lifeblood of any business, as it keeps a company linked to each other, clients, suppliers, and other important contacts that make a business thrive. Every business needs a phone system that is powerful, reliable, affordable, and easily manageable. A hosted phone system is the perfect choice when you’re looking for the best business telephone systems in the Maryland, Pennsylvania, Washington DC and Virginia areas. What are the benefits of cloud based phone systems from QCC? A hosted phone system is easy to set up for multiple locations and remote employees. Using a toll-free or local number, cloud based phone systems route calls to multiple extensions, which can be assigned to each individual employee in multiple locations. A hosted phone system doesn’t need any additional equipment onsite, making installation effortless and easy. Even better, you have the ability to add new extensions to cloud based phone systems when the need arises. A hosted phone system doesn’t require hardware installation or technical expertise! 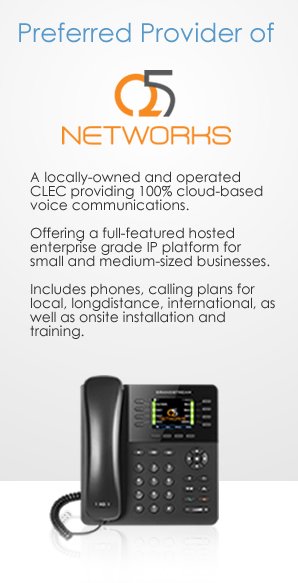 The only item needed for cloud based phone systems is an IP phone, which is provided by QCC. Cloud based phone systems offer extreme clarity and the most superior call quality! Better yet Maryland cloud based phone systems will help your small business project a big-company image because of the professional call quality of a QCC hosted phone system. Cloud based phone systems offer a large range of useful and professional features! A hosted phone system allows you to add multiple extensions, voicemail with e-mail delivery, company directory, an auto-receptionist and so much more. Using a Maryland hosted phone system, or a hosted phone system for your Pennsylvania, Washington DC or Virginia based business opens the door to better and more efficient communication! Not only does a cloud based phone system give businesses a stronger way to communicate, but also helps cut costs, by not having to pay fees often associated with traditional telephony technology. A hosted phone system relies on VoIP technology, which allows your Maryland, Pennsylvania, Washington DC or Virginia business to cut the cost of an on-premise telephone system. 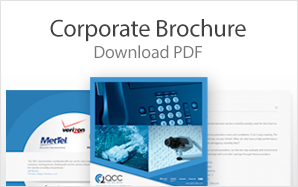 The best Maryland business telephone systems are found at QCC! For cutting edge service, solutions and business communication needs, choose the Maryland, Pennsylvania, Washington DC and Virginia business telephone system professionals, choose QCC!